A common misconception in the United States is that employers and potential employers are likely to check out your credit score before hiring. The truth is that employers are much more likely to check your credit report – not your exact score. Your credit report includes information about both past en present credit accounts in your name, how you have handled credit in the past, and what the situation looks like right now. If you are the authorized user of someone else’s credit account, information pertaining to this can also be present in your credit report. By looking at your credit report, the employer can for instance see which of your accounts that are in good standing and which (if any) that aren’t. They can also see how much your total debt is and your credit utilization. Individuals in the United States are entitled to see their own credit report for free once a year, from each of the three nationwide consumer reporting agencies, i.e. from Equifax, Experian and TransUnion. To facilitate this, the three agencies have set up a joint site where you can order your free report. The address is annualcreditreport.com. It should be noted however that these agencies typically receive information from your creditors on a monthly basis and update your report accordingly, so it can be a good idea to check your credit report more frequently than once a year to know what it looks like and spot and report any errors. Some credit card issuers will give their clients free unlimited access to the client’s own credit report. Your credit score is not the same thing as your credit report, and employers usually don’t pay to get your credit score from any of the reporting agencies. The reporting agencies have special reports for employers and those reports do not include the individual’s credit score. Your credit score is three digit number that acts as (rather crude) summarization of your past and present credit status. Late payments, defaults, a high credit utilization are all examples of factors that can cause a credit score to drop, while paying on time, successfully handling several types of credit, and having a low credit utilization ratio are examples of factors that can cause your credit score to rise. Simply not utilizing any credit will of course prevent your from delinquency and defaults, but it is not a good idea for anyone that wishes to build his or her credit score since responsible managing of credit is what causes a credit score to rise in the United States. So, even if you are a super responsible person that lives completely within you means, you can still have a rather low (but not bad) credit score if you don’t have a history of using any forms of credit. The most frequently utilized credit score in the United States is the FICO score. FICO obtains information from Equifax, Experian and TransUnion. 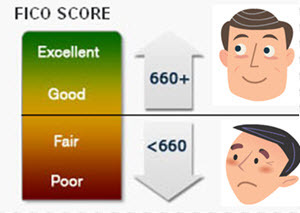 The standard FICO score for individuals runs from 300 to 850. Generally speaking, this is roughly how your credit score translates into the categories “bad credit”, “good credit”, etc. The credit score is intended for lenders, not for employers. By looking at your credit score, a potential lender can quickly assess your creditworthiness and decide from there. 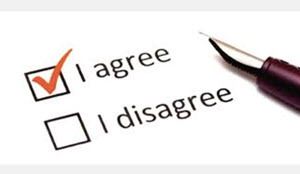 Why would an employer be willing to pay to see my credit report? Some employers will see your credit report as a general reflection of not your trustworthiness. It is not about checking how “rich” you are, but how you handle the money you do have. An employer can be reluctant to hire someone that seems to be under severe financial stress, as evident by a number of maxed out credit cards, several unsecured personal loans, a house mortgaged to the hilt, etc. Even if you are actually managing to juggle all these credits and doesn’t have any late payments registered, the employer can still worry that you might be a security risk. This is especially true for positions that involves handling money or other easily liquidated assets, or being privy to secret information that could be sold or utilized against the best interest of your employer and/or the employer’s clients. Having access to restricted areas is another factor. Your current employer might want to see your credit report before promoting you to a new position. Even if you have done a great job at your current position, the employer might have concerns about you ability to handle increase responsibility. 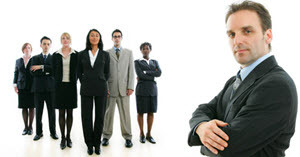 Some employers check credit reports to reduce their own legal liability for negligent hiring. An employer may want to use the credit report to see if the credit report “matches up” with the life and career story told by the candidate. Inconsistencies can warrant further investigation. Some employers check the credit report before every hire, while others only obtain a credit report in selected cases, e.g. for certain positions. In the United States, the employer is not allowed to obtain someone’s credit report without the consent of that person. Giving a current or potential employer consent to see your credit report does not mean that you consent to them seeing information about your account numbers. The version of your credit report released to employers is not the same version as the one you get when you request to see your own credit report. Some states within the U.S. have laws prohibiting employers from checking your credit report, or laws that restrict how information from you credit report may be used in the hiring process. Your credit report and your credit score is not the same thing, and employers will usually only check your credit report – if they check at all. However, since the information in your credit report is used to calculate your credit score, these two tings are connected and you can’t really have an good credit report without also getting a good credit score. The exception is someone who doesn’t have a credit history – this person may not have any “bad things” showing up in the credit report, but can still have a pretty low credit score due to there not being any credit history to build the score on.